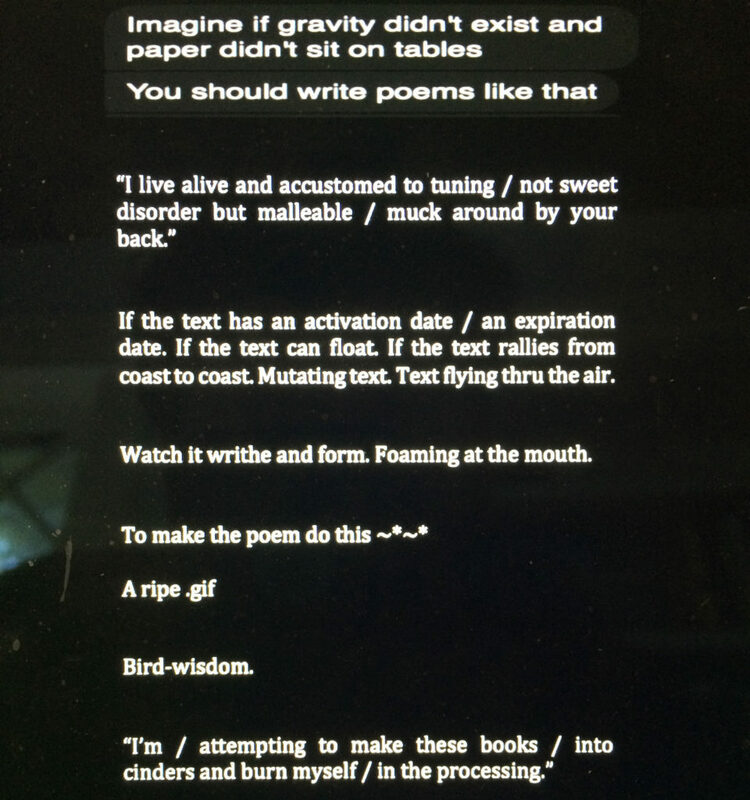 Beginning with a performance on the evening of September 17th, 2016 from 6-8pm and continuing through the duration of the exhibition, John Rufo will build a poem in SECRET DUNGEON, a collectively run project space in a storage unit in a garage in the East Williamsburg Industrial Business Zone. 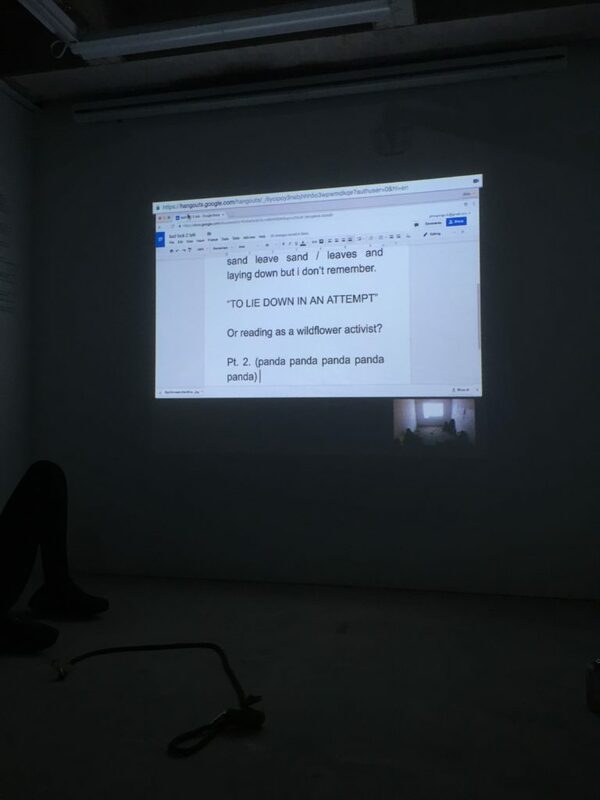 Line by line, each phrase, stanza, or clause will appear, projected onto the wall of SECRET DUNGEON, and then disappear as John writes the piece from Los Angeles, from the desert, from Syracuse, from wherever he happens to be connected to a device when he produces the poem’s next line. John will have access to a live video/audio feed from the gallery for the duration of the exhibition. Through this channel, viewers become willing conversational participants in the creation of the final piece. John will compile the lines of the piece into a document and new pages of the poem will be hung in the gallery as they are produced.